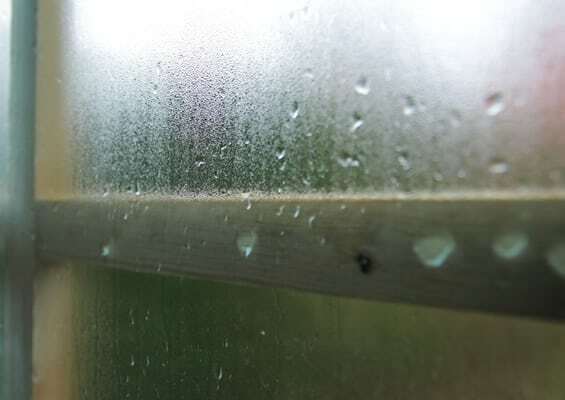 Condensation occurs when warm, moist air contacts a cooler surface, such as a single-glazed window or a cold wall. When this occurs, water droplets form on the colder surface which, over a short period of time, causes Black Spot Mould to form, further damaging decorations, plaster, furniture and clothing. Warm, moist air is produced from everyday activities like bathing, showering, cooking without covering pots, drying laundry indoors or even boiling a kettle; all of which add moisture into the atmosphere in your home. To greatly add to the problem, most people go out to work, so the property is unoccupied, the heating switches off, the temperature drops and the moisture produced is trapped and produces Condensation. To create a healthy living environment, it is important that humidity is extracted and continuously controlled, either by the occupants or by suitable Condensation Control equipment. Unlike other forms of damp, condensation is seasonal. However, it shouldn’t be underestimated because the damage it can cause is considerable. If your walls are damp or there is Black Spot Mould, misted windows or puddles of water on your window sills then the humidity in your home is far too high and unhealthy. There are many things the occupants can do to reduce the humidity and, unless they do them, considerable, costly damage could be caused to their property, their belongings and their health. The measures that we recommend should become part of everyday living, and it is very important that they are carried out continuously during colder weather. 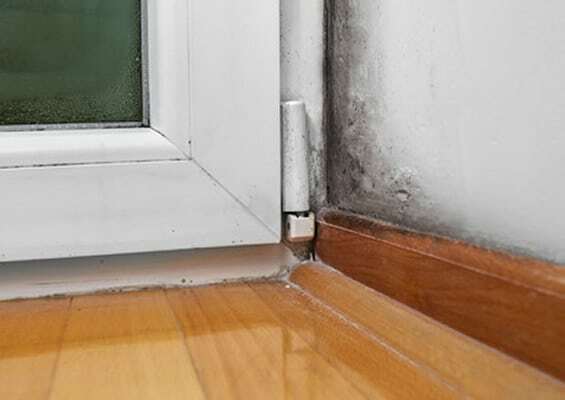 Black spot mould is a fungus that is caused by high humidity, condensation. It is unsightly, damaging and more importantly, unhealthy. Much has been written about that spores given off by the black spot mould, which, if inhaled, can lead to cold-like symptoms, including coughs, sore throats, red and sore eyes, a running nose and migraine. Some studies even suggest that people living in a damp home, especially young children and the elderly, may also experience more serious respiratory problems, such as asthma. Once the humidity has been controlled it is important that the mould is removed by vacuuming and cleaning with a fungicidal mould wash. Yes we can. Our damp surveyors are qualified to the high standards of the PCA (Property Care Association) and will carry out an inspection of the property and measure the temperature and humidity, using an Infrared Thermometer/Hygrometer. Based on these readings, calculations will be made to determine the ‘dew point’ (the level at which humidity turns to water) and what control methods are required to raise it. It is likely that our main recommendations will include a change of lifestyle by the occupants, mechanical methods or both. Most systems can be installed by our technicians in just one day, and start working immediately. Our technical surveyor will discuss any physical or mechanical measures needed to control condensation in your property. All installations of any mechanical control measures are carried out by our experienced technicians. We only recommend mechanical control measures when it is necessary. All work is carried out by experienced technicians, to the high standards of the PCA.